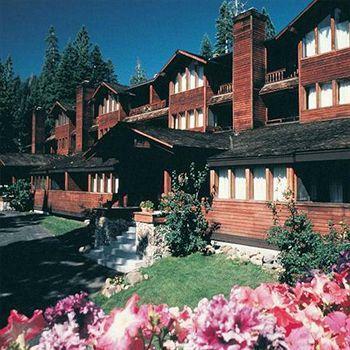 Features: Granlibakken Conference Center and Lodge Lake Tahoe is an alpine getaway above Tahoe City with so many activities and amenities it is almost a city in itself! 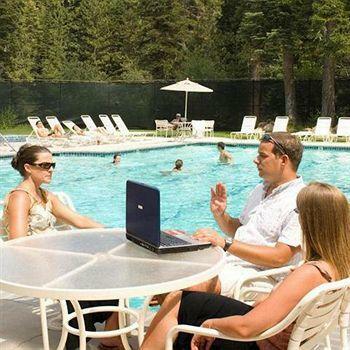 Perfect for group trips of any size, Granlibakken Lodge and Conference Center Tahoe City is an affordable and exciting Lake Tahoe getaway. 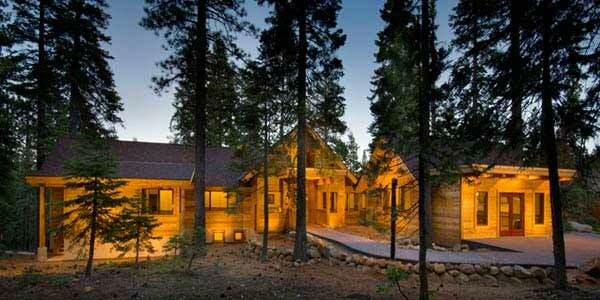 Why We Stay: A stay at Granlibakken Conference Center Lake Tahoe Retreat has everything we need for a getaway in any season. 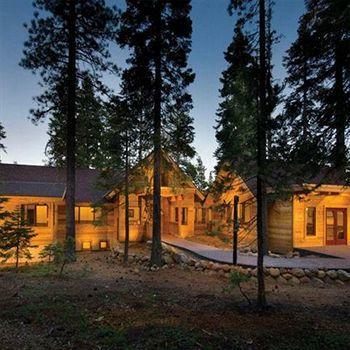 Whether we want a relaxing escape or an exciting adventure, Granlibakken Retreat Conference Center Tahoe is the place to be. 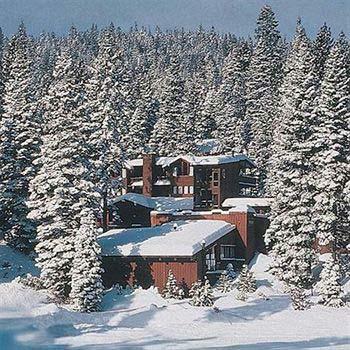 Ski and Snow Play Slope: Granlibakken Conference Center and Lodge Lake Tahoe has a ski slope in its own back yard that is perfect for beginner and intermediate snowboarding and skiing. Take lessons offered by Granlibakken to learn the ropes in a less crowded and more intimate setting, just steps from your room! 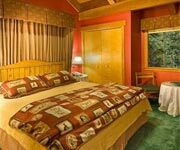 Spa and Sauna: For a completely relaxing experience whether you are on a business trip or a couples' getaway the Granlibakken Lodge and Conference Center Tahoe City has a spa with massage and beauty salon treatments and a sauna to release all of your tension. 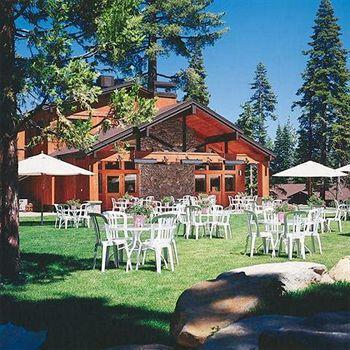 Conference Capabilities: Granlibakken Conference Center and Lodge Lake Tahoe is the ideal place to hold a large conference, business retreat, wedding or family reunion. With huge ballrooms, a gorgeous locale, great catering services, team building activities and all of the best technology for any and all event needs, the affordable prices at Granlibakken make holding an event here a must. Inside Knowledge: Granlibakken is a Norwegian word meaning "hill sheltered by trees" and has a rich history from its beginnings around 1928 when seven-time Norwegian national champion Lars Haugen created the ski jump, at what is now Granlibakken Conference Center Lake Tahoe Retreat, called Olympic Hill. 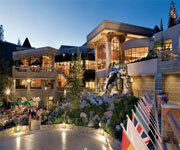 Do Plan an Event Here: Granlibakken Lodge and Conference Center Lake Tahoe goes to every length to make event planning easier than you ever imagined. The great venue, beautiful alpine surroundings and excellent services, technology and activities offered by the resort make it so that your big event will run smoothly for everyone involved. 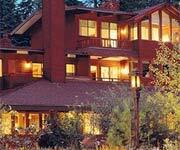 Do Bring the Kids: Although Granlibakken Lodge and Conference Center Tahoe City is wonderful for large parties, it is also great for family vacations or even romantic couples' getaways. With rooms to fit any size group the great activities and amenities Granlibakken offers can be fun for the whole family. Don't Miss the Treetop Adventure Park: Adventure lovers, outdoor enthusiasts, families and anyone who likes a good deal will love this new adventure park at Granlibakken. 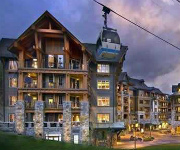 And better yet it’s combined with a lodging package that offers fun and great rates all wrapped into one! This exciting activity at Granlibakken is open year-round and starts at $105 per person and includes a 2.5 hour Treetop Tour, complimentary hot buffet breakfast and your hotel room! 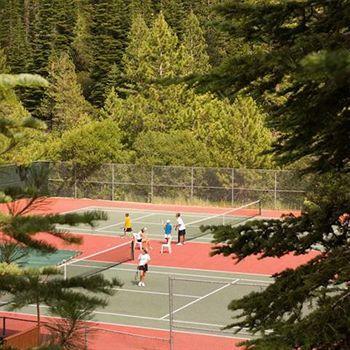 Don't Stay Inside All Day: The Granlibakken rooms are comfortable and the resort holds amazing activities, but try to get out and explore the many walking trails in the Lake Tahoe hills. Enjoy snow sports in the winter, and don't miss out on Lake Tahoe itself in the summer for great kayaking, swimming and boating activities. People told me that Granlibakken was the best kept secret in Tahoe and they were right! The resort huge! 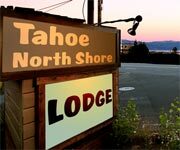 and is just a few minutes from downtown Tahoe City, Fannie Bridge and the Lake. They offer an awesome buffet style breakfast included in your room rate and have shuttles to the ski areas leaving at normal times. There are a variety of different room types ranging from larger condo style units to single rooms – all located in one of the many different buildings on the property. There’s a small ski hill for beginners and an fun sledding hill (you can rent gear) which brought me back to my years sledding as a kid! At night I had dinner in Tahoe City and capped it with time in the heated pool and Jacuzzi under the stars – not a bad way to end the perfect day in Tahoe! Granlibakken is a perfect place for meetings, groups, weddings etc.. as the grounds offer a perfect, secluded yet friendly mountain setting. Price was right, food was good and setting was beautiful. I just might make this a habit! 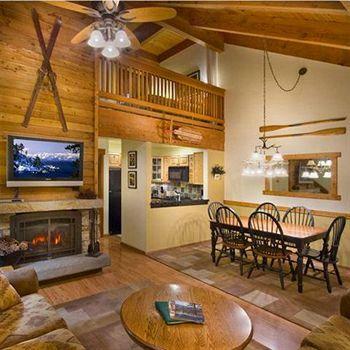 Townhome units at Granlibakken Conference Center and Lodge and Conference Center Tahoe Center have one to three bedrooms, a living room and dining area, a fully-equipped kitchen and a fireplace. 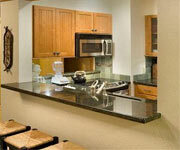 Each Townhome also has a cable television and DVD player, telephone and free wireless Internet access. 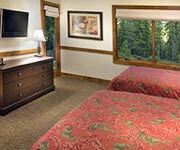 Single bedrooms at Granlibakken Lodge and Conference Center Tahoe City have their own private entrances, bathrooms, television with cable and DVD player, telephone and free access to wireless Internet. Try an Executive Lodge Bedroom for a more spacious experience and your choice of one king bed or two doubles. 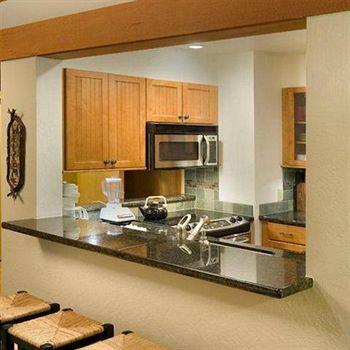 With a private bath, a personal deck, private entrance, fully-equipped kitchen and fireplace, Studios also have televisions with cable and DVD players, telephone and wireless Internet. 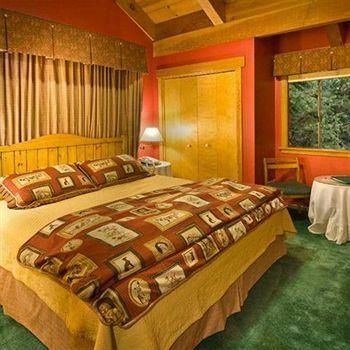 Suites are the regular Studio set-up with an adjoining bedroom with cable television and telephone. 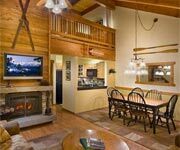 Executive Lodge Suites at Granlibakken Conference Center and Lodge Lake Tahoe have large living rooms with a fireplace, fully-equipped kitchen, private deck, private bath, cable television with DVD player and wireless Internet. 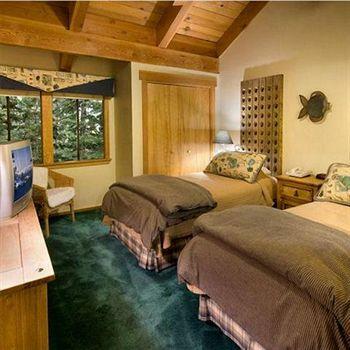 A sleeping alcove holds a double bed while a separate room has a king-sized bed, television with cable and DVD player. 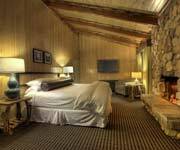 Executive Lodge Suites can be combined to create a five bathroom five bedroom lodge. 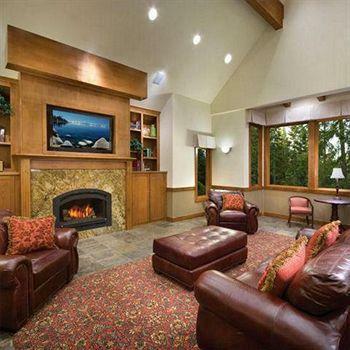 The Granlibakken Conference Center and Lodge Lake Tahoe has an eight bedroom, ten bathroom lodge chalet with a fully-equipped kitchen, gas fireplace, large plasma television, classic leather furniture and a large dining area. French doors open from the dining area to wrap around the deck.